Sticking to a diet is tough — it’s nearly impossible to stick to lettuce and chicken breast while your friends are enjoying delicious treats. In order to succeed on a diet, you need to allow yourself a special treat once in a while. This will keep your cravings under control so you don’t completely fall off the wagon and eat everything in sight. An occasional treat will also keep your metabolism revved up, so you keep burning calories and losing weight. If you’re going to splurge on your diet, why not enjoy the highest-quality foods available? At least you won’t be putting toxins and artificial chemicals into your body, even if you are eating some calorie-dense treats. 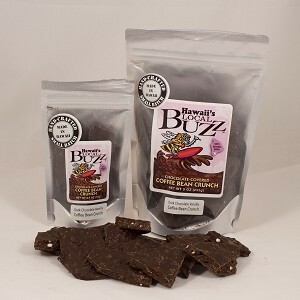 Hawaii’s Local Buzz offers delicious, all-natural specialty foods from Hawaii that will satisfy your cravings without sabotaging your diet. Visit Hawaii’s Local Buzz to explore these and other all-natural specialty foods from Hawaii — you deserve a worthwhile treat once in a while.